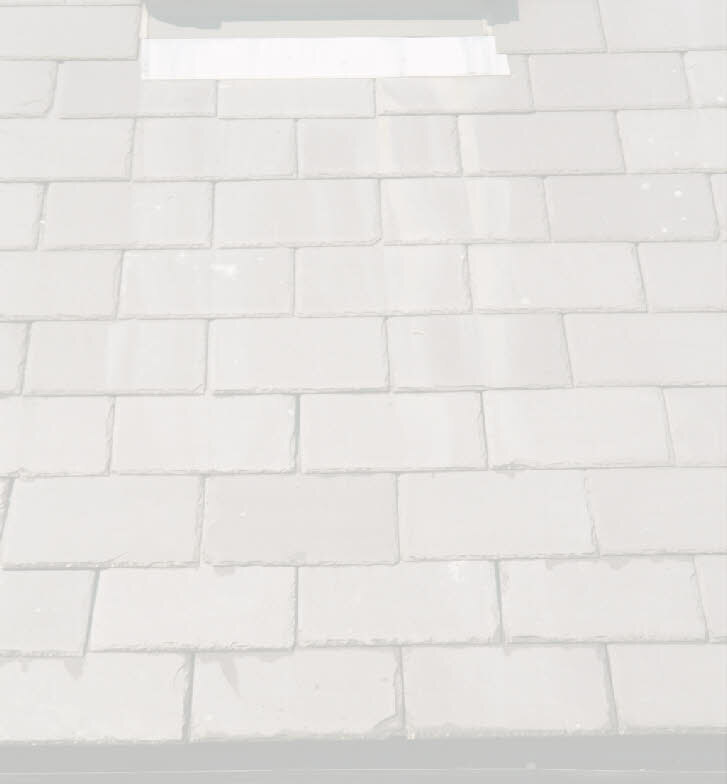 The Jenny Twin® is designed as a replacement slate fixing for most slates which are fixed to open battens (with or without an underlay at rafter level) up to 70 degree roof pitches. The Jenny Twin® secures the slate by hanging it from the batten to which it would have been nailed. A pair of Jenny Twin® fixings can hold in excess of 20kg. (an average size roofing slate would be less than 3 kg). Jenny Twin® fixings are designed for isolated repairs where nail fixings can no longer be achieved due to overlapping courses above. 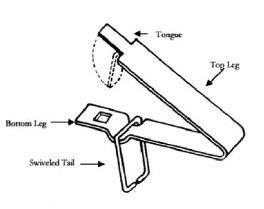 The Jenny Twin® is made up of two sections, the main body which secures around and through the replacement slate and the swivelled tail which is held in the recess groove of the clip. 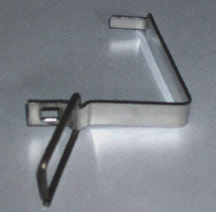 Swivelled Tail: cut and shaped from annealed stainless steel wire to BS1554 321 S31. All parts are made and quality checked at our works. The Jenny Twin® was designed about 30 years ago by a building contractor needing to renew a large number of slates in the eaves course of a roof, following damage by a fallen tree. Both the designer and the client were not satisfied with the use of unsightly straps and were aware of the short term nature of repairs made with adhesives on slate roofs. Owens Slate Services Ltd took over the marketing and manufacturing of the Jenny Twin® in 2000. Since then, the demand for secure, invisible, and proven slate replacement fixings has continued to grow with our clients ranging from home owners, building contractors, estate managers, building surveyors, roofing contractors, stone masons and steeple jacks.